It seems like every single year, a food borne outbreak occurs in multiple states around the country that leaves avid restaurant-goers and supermarket chains scrambling to find out what caused the latest epidemic. Again this year, the Centers for Disease Control and Prevention (CDC) has announced last week that a new E. Coli outbreak is currently underway and related cases have been identified in six States so far: Alabama (2), California (1), Florida (1), Georgia (5), Louisiana (4) and Tennessee (1). Thus far, officials have yet to identify the product responsible for this latest round of food poisoning. The level of emergency was raised to an all-time high when Maelan Elizabeth Graffagnini, a 21-months-old infant died in New Orleans. Officials announced that the young child died from complications of E. Coli O145. 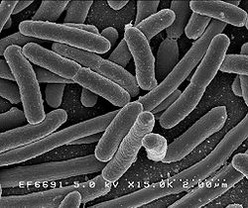 (one of six types of shiga toxin-producing E. coli). Florida residents have not been spared by these latest headlines and while the risk of contracting the latest food born bacteria is relatively low, Floridians should constantly remain careful about what and where they eat, in particular, South Floridians. According to the Florida Division of Hotels and Restaurants, South Florida has received more restaurant violations than anywhere else in the State. The cities of Miami, Fort Lauderdale, and Boca Raton, rank in the Top 10 violating cities in the last 12 months. Miami leads the way with 37,048 violations alone this past year. Put all three cities together, and South Florida restaurants are responsible for more than 54,000 violations in one year, which represents more than a third of all violations among the top 10 violating cities. As mentioned above, the city of Miami is the worst violator of all, with over 100 new violations each day on average. The consequences for consumers is usually mild symptoms of food poisoning, a long night of indigestion and a groggy feeling the next 48 hours. Unfortunately, in some instances, the result can be a lot more tragic, as we recently found out. Leesfield Scolaro has represented several victims of food poisoning and settled multiple claims, but none of them were more tragic than the most recent incident. 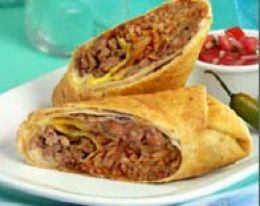 A young woman of 32, a mother of 2 young children aged 2 and 14, picked up a beef chimichanga with salsa, guacamole, lettuce, cheese and chips one evening at a popular Mexican restaurant in Miami. She ate her dinner and went to bed that night feeling fine, but she woke up violently ill sometime between 2 and 2:30AM. For the rest of the night and through the entire next day, she experienced symptoms of food poisoning, including vomiting, sweating, nausea, cramps, chills, and diarrhea. She was so sick that she could hardly get herself out of bed. Early that morning, a family member saw her go to the bathroom to throw up yet again. They spoke and they both agreed at that she ate something bad from the Mexican restaurant. A few hours later, she decided to report the restaurant to the Health Department, and filled out an online complaint form. That afternoon, the 32-year-old was so weak that she stayed in bed, hoping to get better. But her mother who had come in to check on her daughter discovered that she was not sleeping, but had become unresponsive and her legs had turned purple. She was rushed to the hospital where she was pronounced dead less than 24 hours after ingesting the food from the restaurant. Observed raw animal food stored over cooked food. Observed build-up of slime on soda dispensing nozzles. The Florida Department of Health conducted an inspection the day after the incident was reported and they shockingly found the restaurant had another 53 violations. Through discovery and a lengthy investigation, it was determined that the popular Mexican restaurant not only had a history of critical violations, but also a history of repeat critical violations, evidence of an out-of-control environment and systemic gross negligence from the owners, to the managers to the employees. Our food poisoning attorneys were able to reach a confidential settlement with the restaurant and property owner before trial, which will make a difference in the lives of our client’s two young children who no longer have their mother with them. Tagged: "E Coli", "Florida Restaurants", "Food Poisoning", "Maelan Elizabeth Graffagnini", "Miami Restaurants" and "Restaurant Violations"